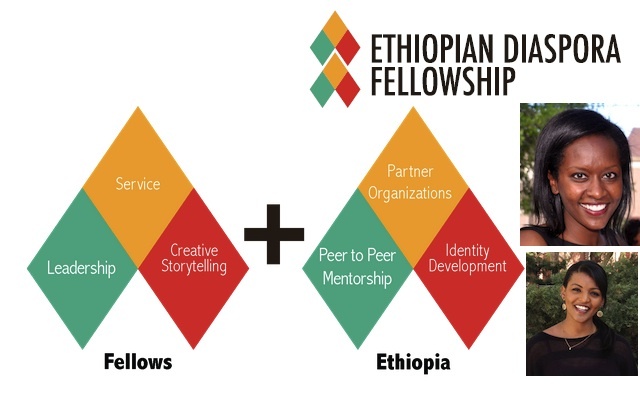 The Ethiopian Diaspora Fellowship (EDF) trains young Ethiopian professionals in leadership development, service, and creative storytelling skills before sending them to Ethiopia to serve at partner organizations for a 6-month fellowship. “We provide an option for Ethiopian Diaspora to connect with Ethiopia in a meaningful way,” says Founder, Rediate Tekeste. Outside of trips to Ethiopian restaurants, church events, the yearly soccer tournament and of course the retelling of their parent’s tizita — first and second generation Ethiopian Americans find themselves immersed in Western mainstream society, slowly severing the cultural bond between generations. Despite this disconnect, the youth residing in the Diaspora are often times intrigued and attracted by their culture and ancestry. They find themselves connected as much as possible to Ethiopian events, social media groups, and friends — yet find it difficult to deepen that connection in a realistic and meaningful manner. Additionally, Ethiopian adopted young people yearn for a connection to Ethiopia but may not have the network or community to reconnect. In August, two women, Rediate Tekeste and Meseret Hailu, attempted to assess, from a millennial lens, the push-pull relationship within their generation by sending out a survey via social media and a Diaspora listserv. Expecting less than 200 results, they were shocked to find almost 400 people all over the country had answered their 23 questions with thoughtful answers. The desire for Ethiopian Diaspora youth to be heard was evident. The organization was built using the survey results as a framework to understand the population. The fellowship offers a bridge — an avenue for exceptional applicants as well as opportunities to participate in trainings, work in a variety of organizations in Ethiopia, and network with local professionals. While in Ethiopia, fellows participate in peer-to-peer mentorship and use storytelling to increase their own cultural identity and become a catalyst for growth and change in Ethiopia. The work of partner organizations collaborating with EDF ranges from technology, education, and health to gender empowerment and an intersection of multiple areas. The vision is to be a model by which young Ethiopians can engage with Ethiopia. Every partner organization is run by Ethiopians and serving Ethiopians. Fellows are required to document their journey through a variety of mediums to strengthen their storytelling abilities and encouraged to reflect on their identity growth. The team is comprised of Ethiopian Diaspora, Ethiopian immigrants, and a group of advisors with professional skills ranging from psychologists to marketing and health professionals. The varied backgrounds and cultural perspectives of the team allows EDF to gain an in-depth understanding of how this program can serve not only as a medium for connecting a cultural identity but also as a means for Ethiopian-Americans/Ethiopian Canadians to give contribute to their homeland through skills and knowledge transfer. “There are well-skilled and educated people in Ethiopia doing amazing work, and we aim to utilize those people to help Diaspora youth connect and evaluate their own identity,” said Rediate. If you would like more information or would like to support, apply or partner with Ethiopian Diaspora Fellowship – please visit www.ethiopiandiasporafellowship.org . Application deadline is June 5th, 2015. Author Bio: Addis Daniel is a first generation Ethiopian American who spent the last year and a half living and working in Addis Ababa. She is a graduate of the University of Central Florida and is currently living in Los Angeles, CA working as a freelance creative designer and writer. She is passionate about social issues particularly those affecting women and children in developing countries. She hopes to use her talents to empower the people of Ethiopia and allow them advance themselves through community building and education.